The Frankfurt-based boutique law firm METIS Rechtsanwälte LLP with its ‘fast and practice-based’ focus on commercial law is particularly experienced in corporate law and M&A, dispute resolution and labour law, thereby delivering ‘excellent results’ and making a name for itself on account of its ‘high level of professionalism, reliability’ and its ‘good price-performance ratio’. Some of the highlights include the representation of the owner of a leased means of transport led by Bernhard Maluch in an insolvency proceeding. 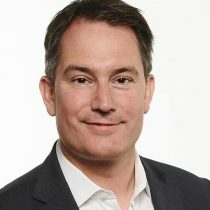 In legal proceedings involving an 8-figure amount in dispute, the ‘service-orientated’ litigation lawyer and ‘very good negotiator’ Florian Wettner, protected a freelance enterprise against claims for damages on the grounds that the enterprise had allegedly provided incorrect advice, using his ‘analytical’ and ‘practical and solutions-orientated approach’. In addition, Andreas Rasner has advised an energy supplier in a corporate legal dispute with another market player over a value in dispute of €100 million concerning a consortium agreement for the energy grid of a metropolitan area.